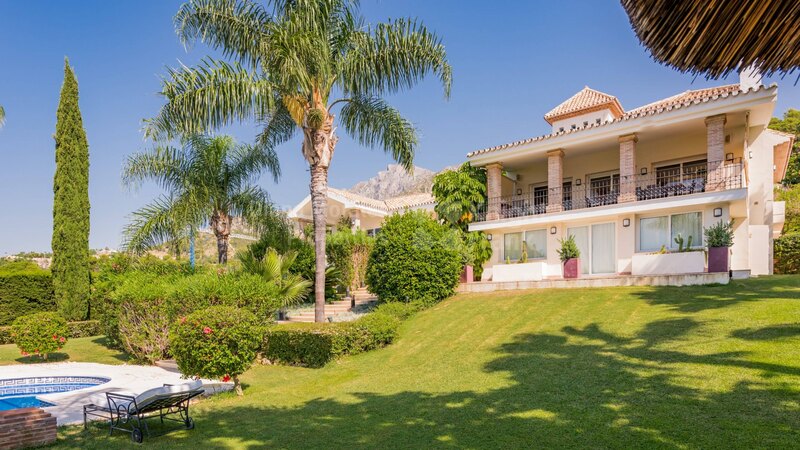 Please, send me more information about ref DM4318 in Cascada de Camojan, Marbella Golden Mile or similar properties. 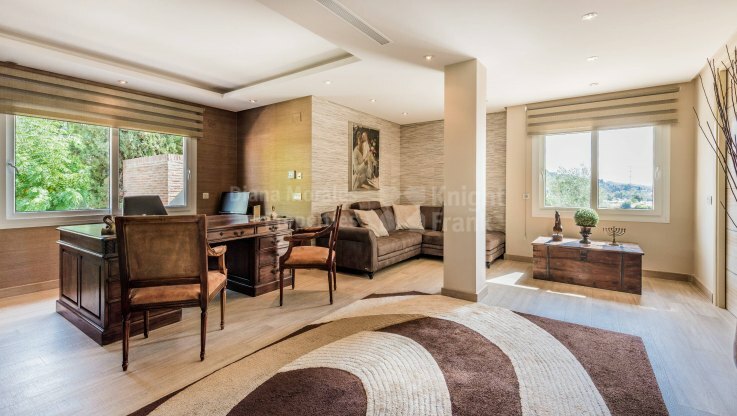 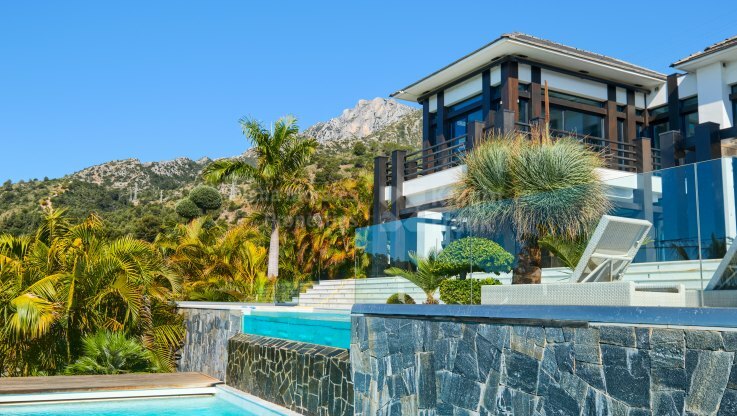 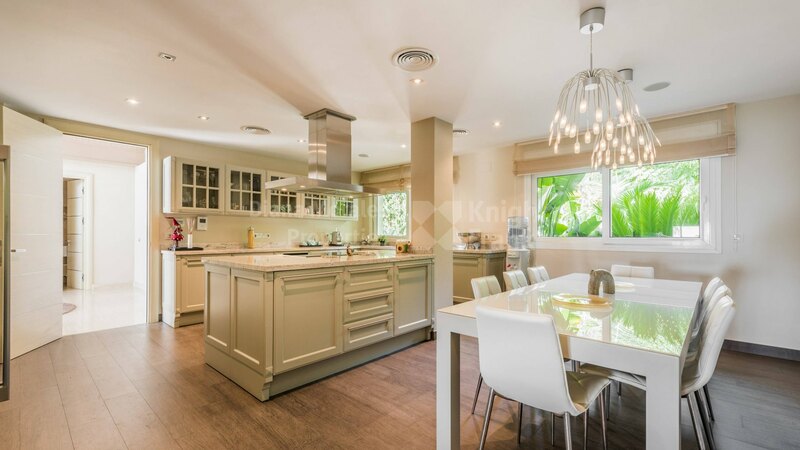 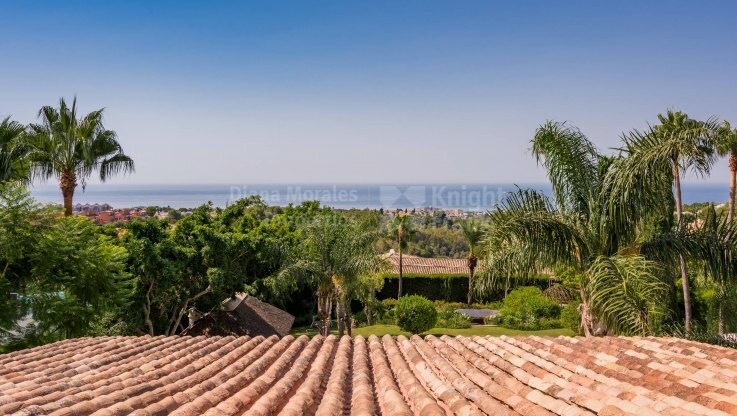 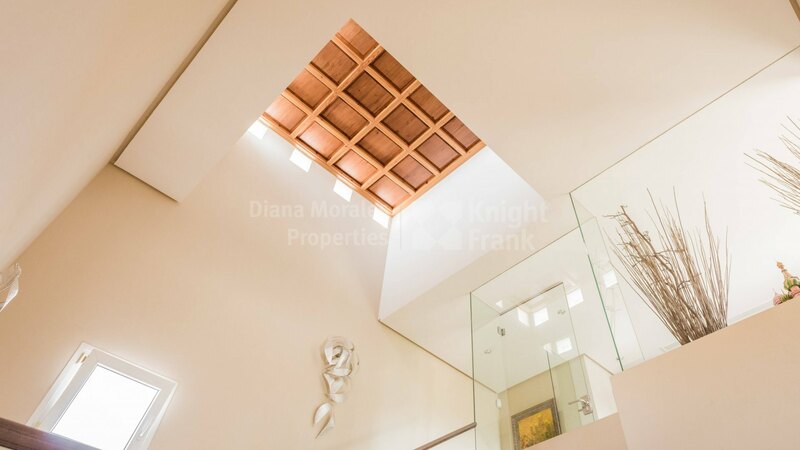 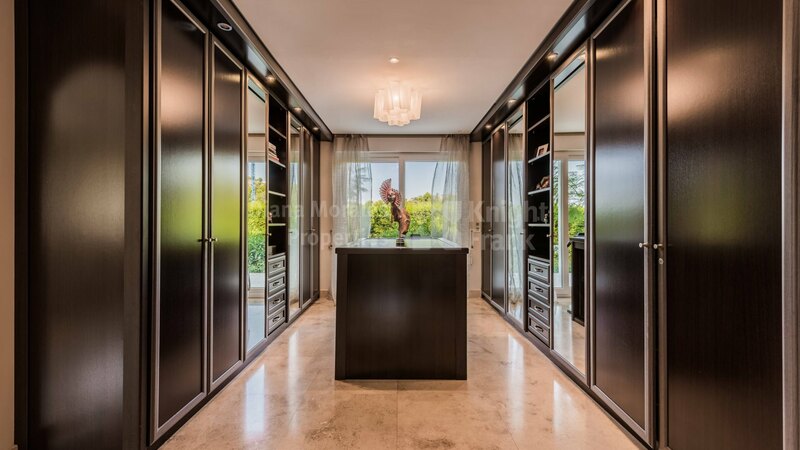 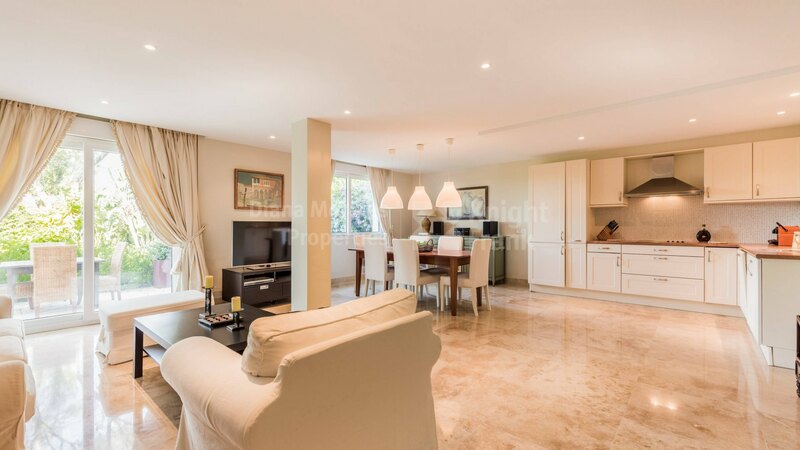 This unique residence is set within one of the most prestigious residential areas in Marbella, surrounded by nature and just a few minutes’ drive to the beach and the centre of town with all services and amenities. Located on a very private and extensive plot, the villa enjoys impressive panoramic views of the sea and mountain. Built to the finest standards and recently refurbished to incorporate further features for enhanced quality of life, the home provides spacious accommodation for family living and entertaining, indoors and outdoors. 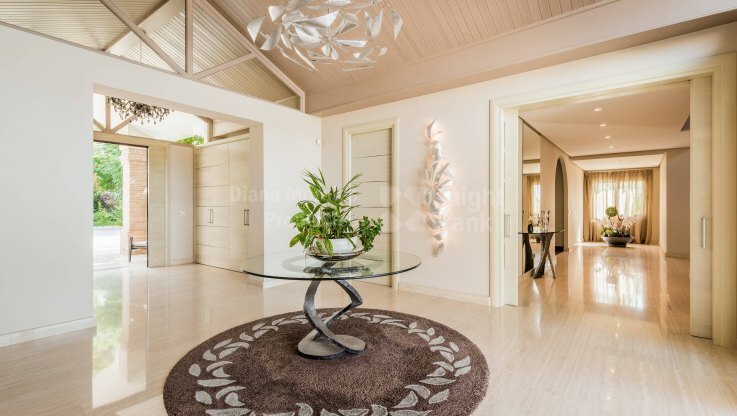 A private drive-in courtyard leads to the main door of the house, where sea views welcome visitors to the entrance hall providing the wow factor. The villa is distributed over three levels and two separate wings. The East wing comprises a lounge in split level with dining room, bar area and fireplace, a study, an eat-in fully equipped kitchen with granite worktops and Siemens appliances, and adjoining utility and laundry rooms. 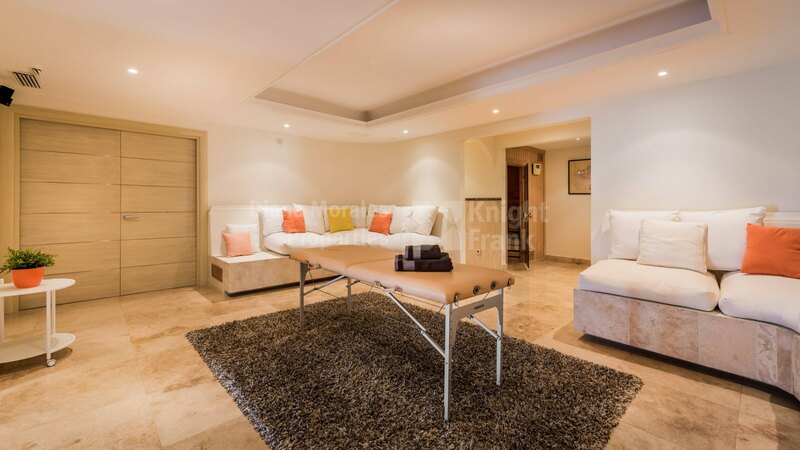 There is a staff bedroom suite next to the kitchen with separate access. 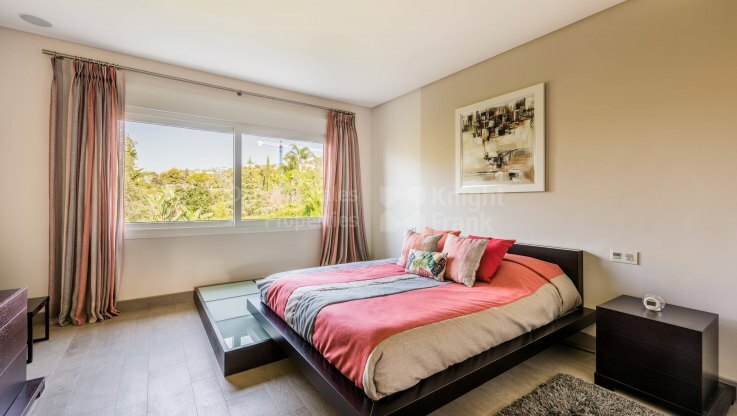 On the upper floor there is a private office (which could be used as additional bedroom) and a bedroom with ensuite bathroom and open terrace. 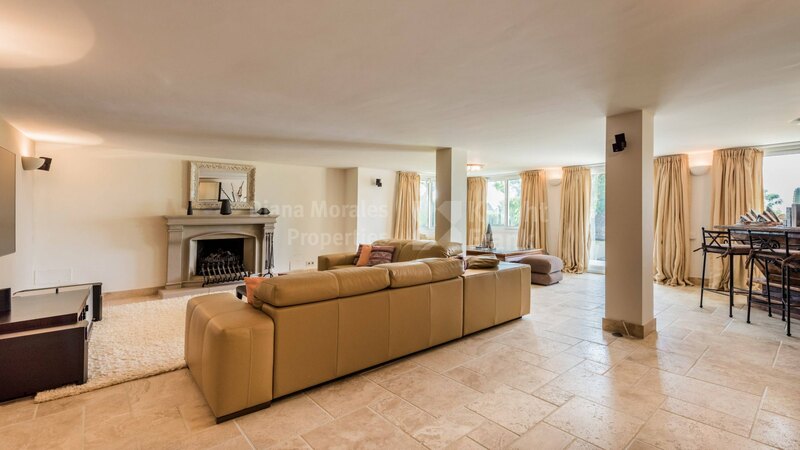 The West wing features a spacious lounge with fireplace and dining area with direct access to the terrace with impressive sea views. 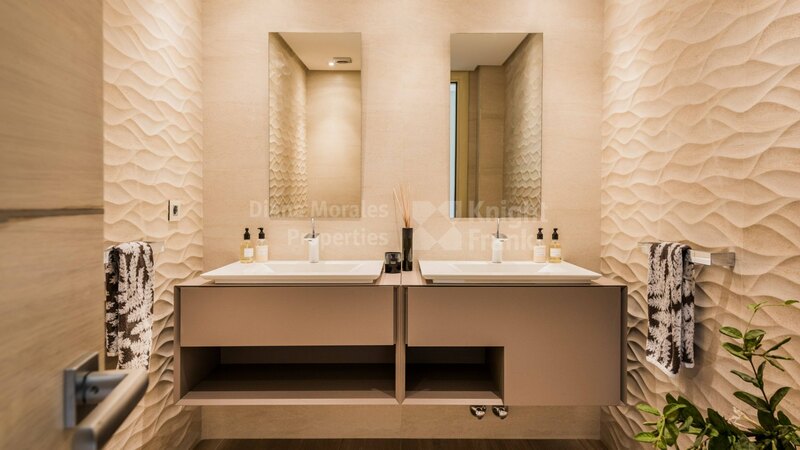 A large hallway with a guest toilet leads to two bedroom suites, one of them with private lounge and dressing room. 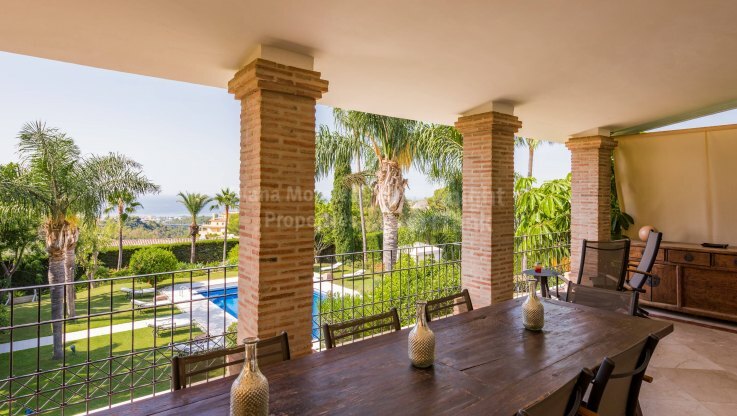 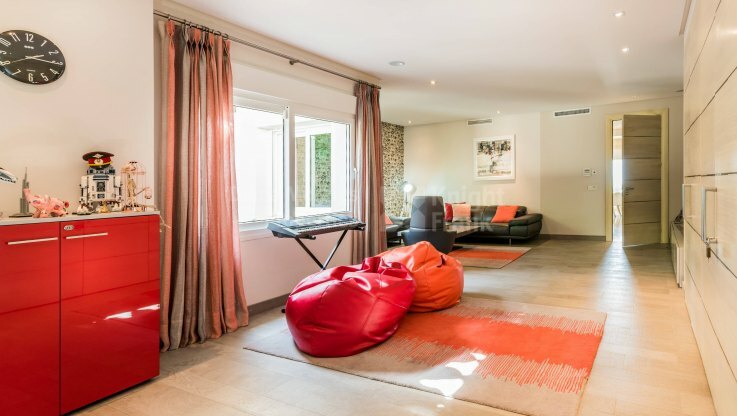 In the garden level, which can be accessed by any of the two wings, there is a sensational master bedroom with large dressing area and open bathroom with Jacuzzi and shower, with access to the terrace and garden area. 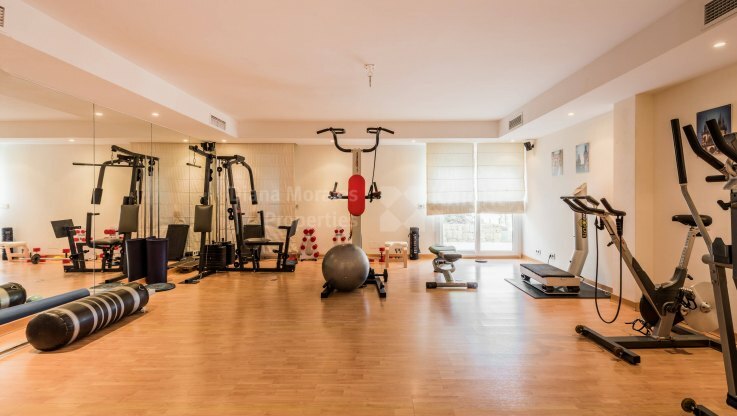 Also in this level there are a self contained guest apartment, a large store room, a fully equipped gym, sauna, shower room, a relaxation area, a typical Spanish bodega, double garage, and a large living room area with a fireplace that opens to the garden and pool areas. 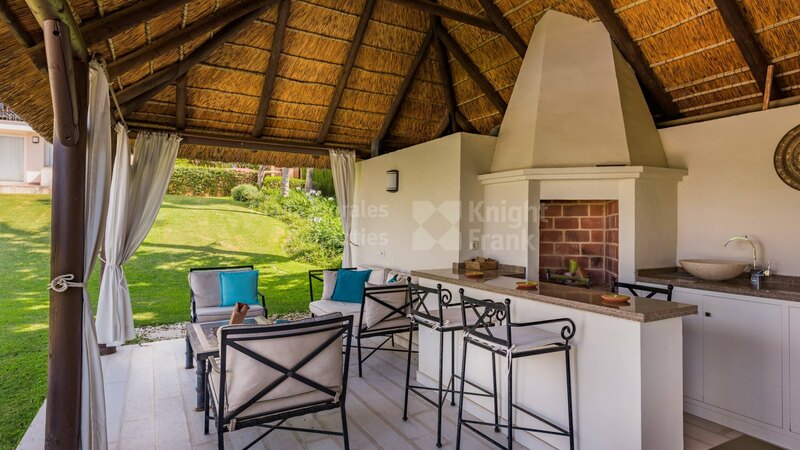 The extensive landscaped garden also features a gazebo, pool house with sitting/dining area, kitchenette, BBQ and toilet, and a children’s play area. 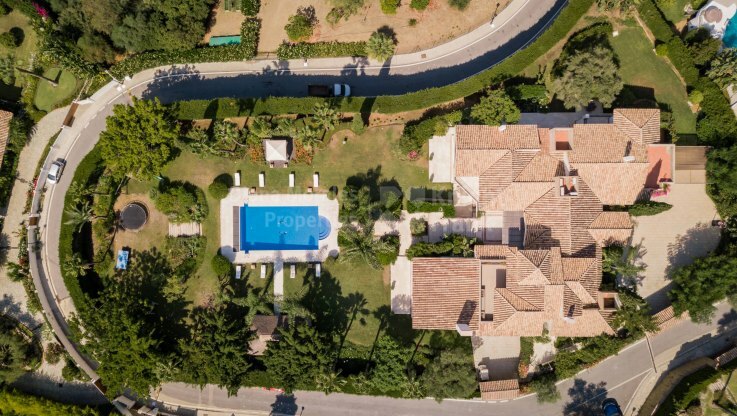 The combination of a luxurious villa on spacious private grounds in a top address creates a truly exclusive property. 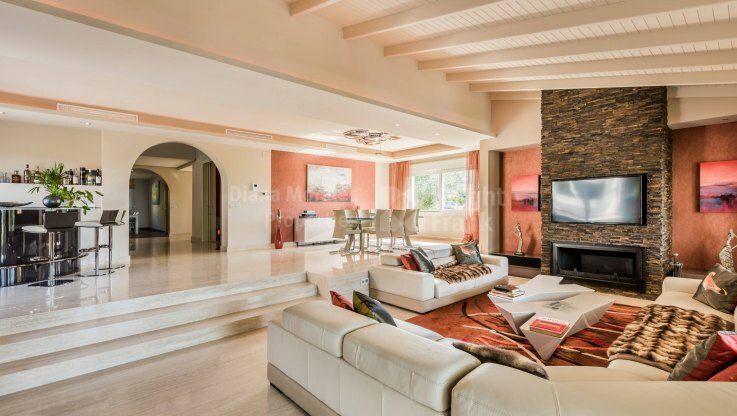 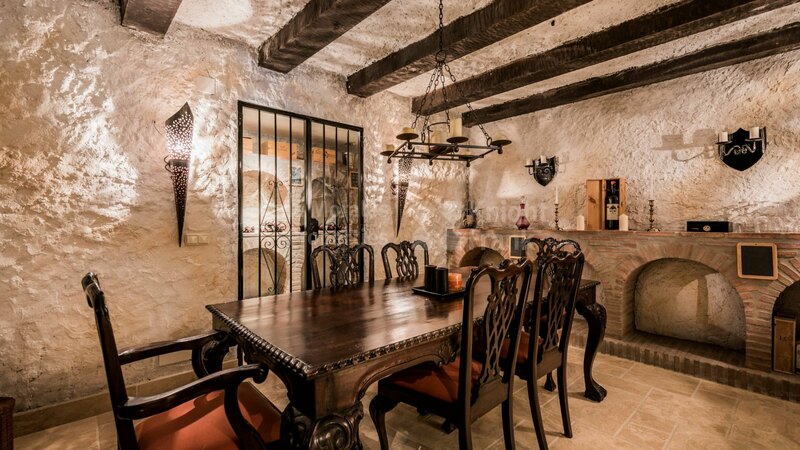 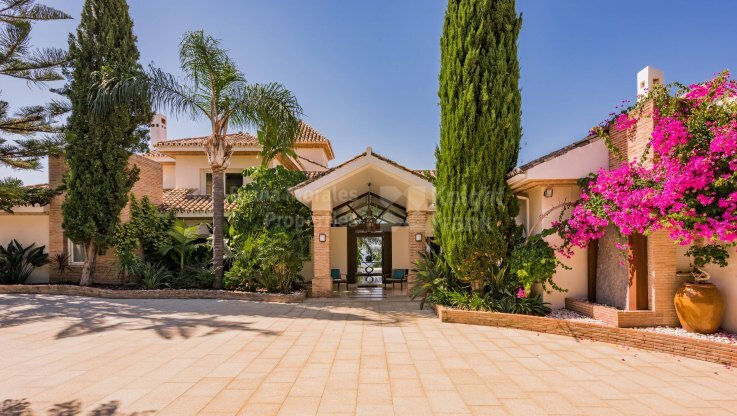 This luxurious seven-bedroom villa in the select gated community of Cascada de Camoján near Sierra Blanca is a fine example.